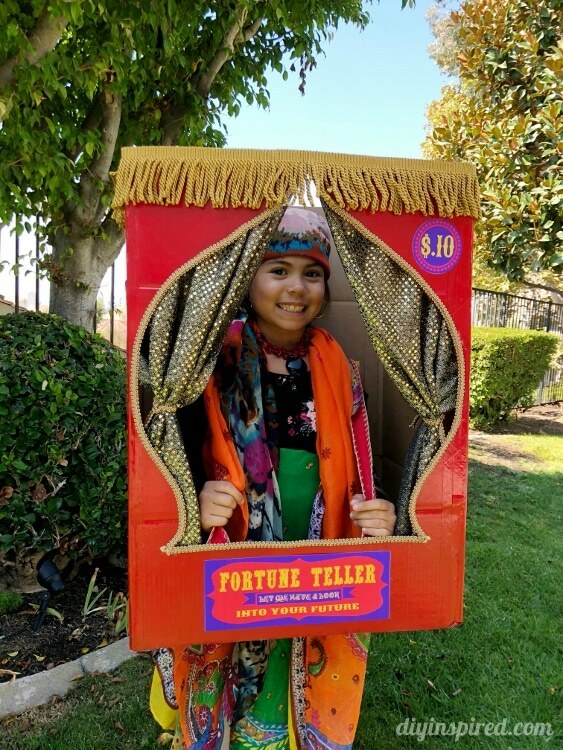 How to Make a Fortune Teller Booth Out of an Amazon Smile Box with Free Printables for All! 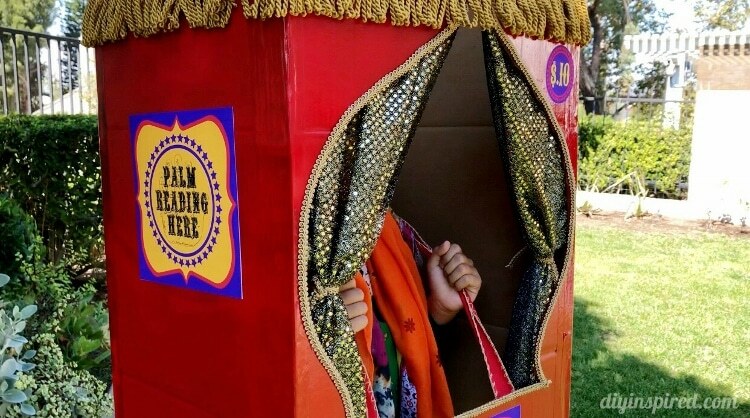 This article, DIY Fortune Teller Booth Boxtume, is sponsored by Amazon Prime. All opinions are 100% my own. As Amazon Prime members, our family always has leftover boxes from our orders. This year for Halloween, I thought it would be fun to upcycle one of them into a Halloween costume, or #Boxtume, for Mia. 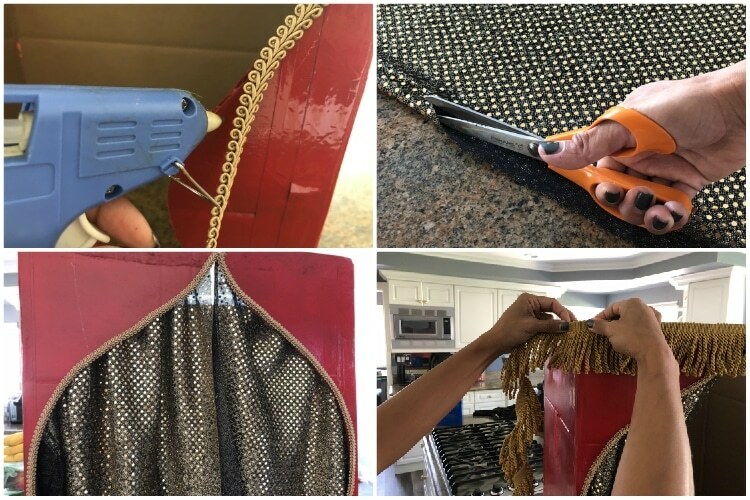 Boxtumes are creative Halloween costumes that you can make at home using Amazon Smile boxes and crafting supplies around the house. 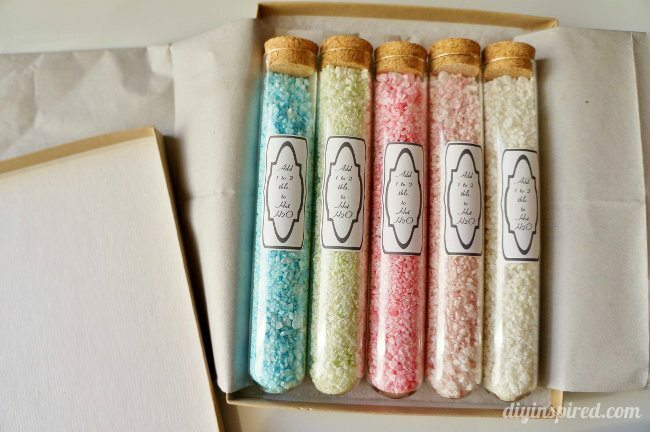 These can be as simple or as elaborate as you’d like! They’re great for kids or groups and are a perfect opportunity to show off your creativity while spending time with friends and family. 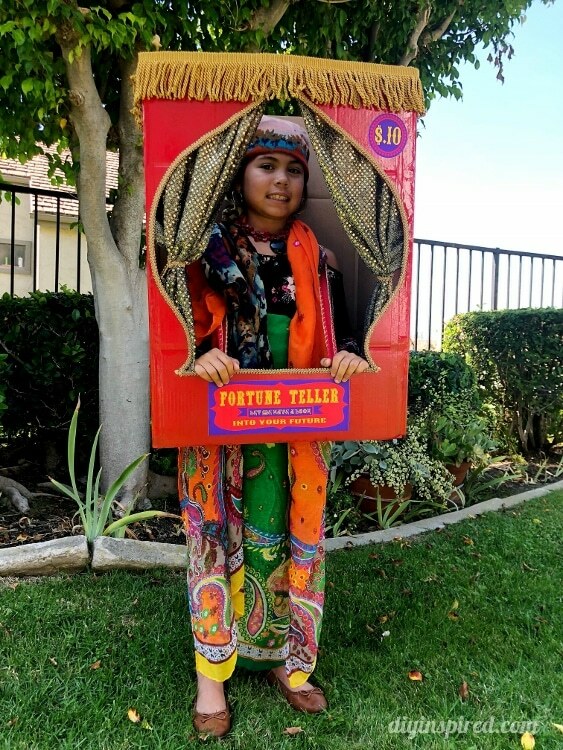 We brainstormed a few ideas together and came up with this DIY Fortune Teller Booth boxtume. With a few supplies, we had a great time making this colorful costume. I ended up designing a few printables to share as well. Here is how we made it. Remove any tape from your box and pull out the flaps. Tape the flaps up, on both the bottom and top, to create the booth shape. Next, draw the window on one side with a pencil. 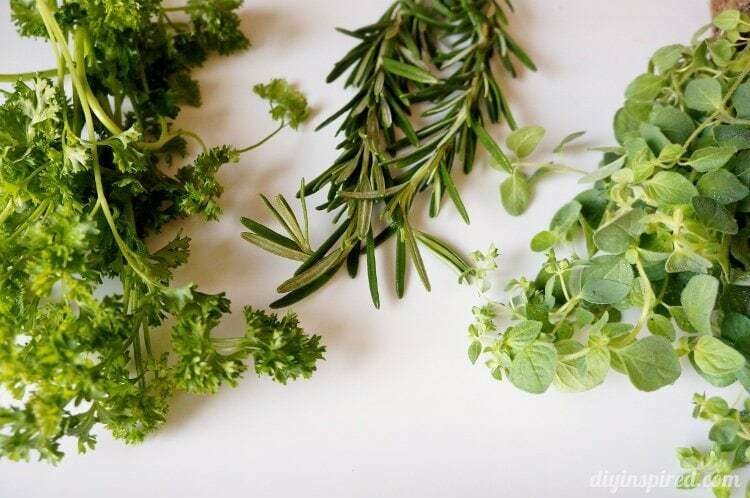 Use a craft knife to cut it out. Use a dual spray paint with paint and primer in one and spray paint the box in the desired color. Allow the paint to dry completely. 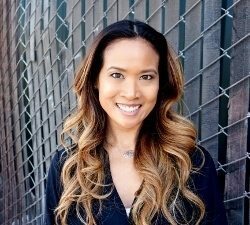 Fortune Teller, Let me have a look into your future! I taped the Fortune Teller sign on the bottom front, the ten cent sign on the top right, and the other two signs on each side. Lastly, add straps inside with 2-inch-wide ribbon and duct tape. I had Mia try on the box and measured the best placement. Surprisingly, the duct tape holds very well. 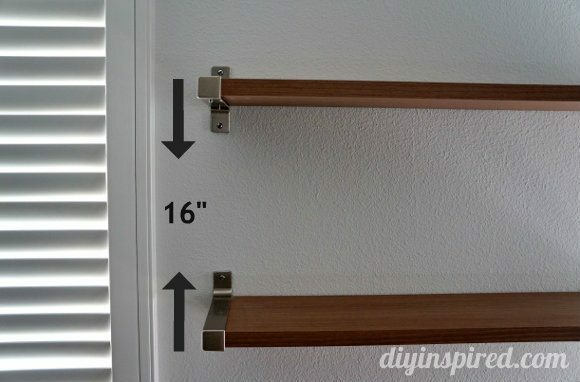 Be sure to use a lot, taping both vertically and horizontally to make it more secure. To keep this costume budget friendly, I raided my closet and my mother’s closet. My daughter wore one of her flower dresses and I draped three scarves around her shoulders, her head, and her waist. She also wore a chunky necklace, hoop earrings, and bangle bracelets. We loved the way it turned out. Are you up to the challenge? 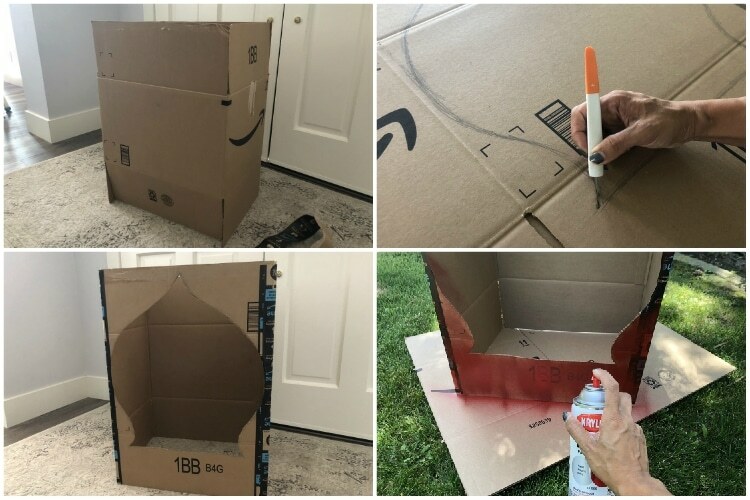 Show off your creativity by upcycling your #AmazonPrime Smile boxes into #morethanabox this Halloween with #Boxtumes!